It would seem fairly obvious where Geneva got its name from. It’s located in a state, New York, that was named after a foreign city after all. 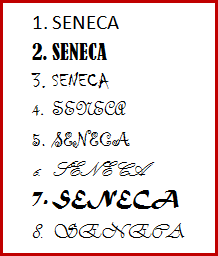 First of all an explanation of Seneca. Those are all from Microsoft word. Six and Eight seem to back up the story somewhat. This entry was posted in New York, Wiki Travel. Bookmark the permalink.